A bright seventeen-year-old girl, Emily Collins, who is constantly in trouble---often winding up in after-school detention at her public high school, is sent to a private academy to finish her senior year. Determined that she will graduate, her parents are delighted to hear there is no detention at Oakmont Academy. Emily manages to stay out of trouble for nearly a month---until she writes a fictitious story about two teens for the Valentine s Day issue of the school newspaper. The Headmistress reprimand includes expelling Emily from the newspaper staff. Her punishment is tutoring three students (Reese, Jade, and Alex) in English after school two days a week. Unbeknownst to the other guys, Jade spends lots of time at Emily s house for tutoring lessons in English. The first time he sees her family s Steinway, he is amazed that Emily doesn t play the piano. This leads to Emily asking him to teach her to play. Jade begins with teaching her how to find middle C on the piano keyboard. The more time she spends with Jade, the stronger her pulse beats. When all the guys eventually pass Oakmont s comprehensive exam in English, Emily experiences the glowing feeling of having helped. And, as Emily begins to hear the sweet sounds coming from the Steinway, she also listens to her heart. By the end of the book, Emily begins to sort out what s most important to her, and she finally begins to believe in herself. Emily and Jade would soon be off to different colleges, but they had a very sweet time those few weeks before graduation. 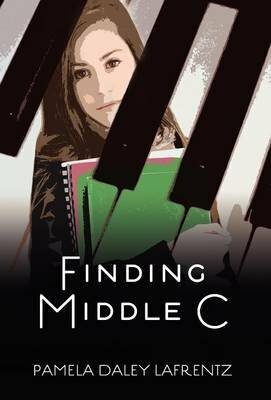 Even though Emily and Jade soon would be moving on, neither of them would ever forget helping each other find their own middle C of life.